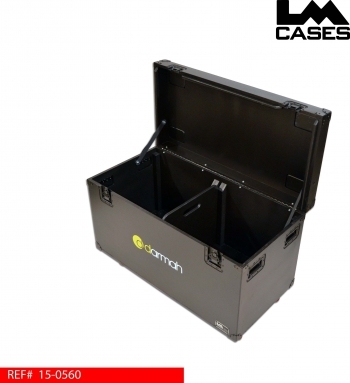 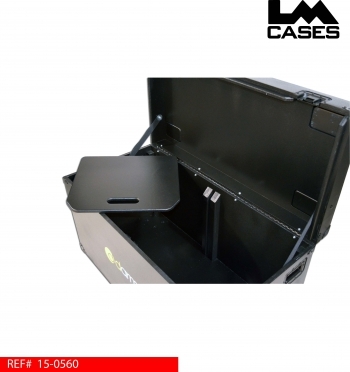 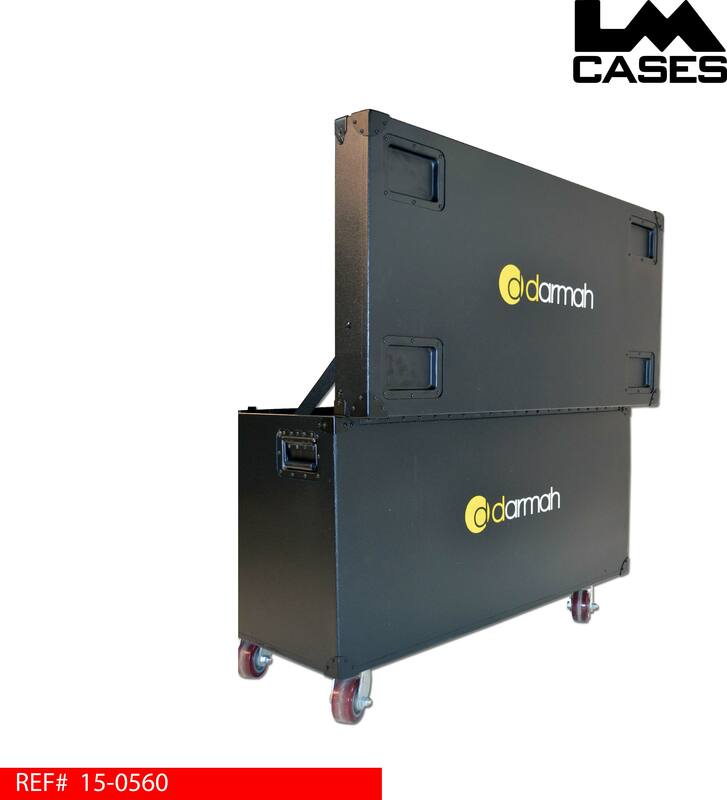 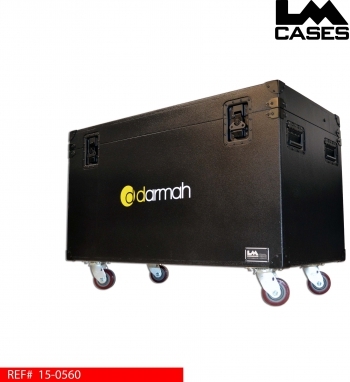 This case was built for Darmah LLC. 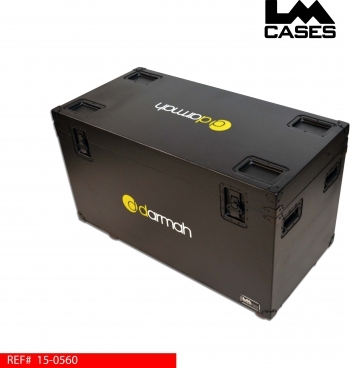 The case is built out of 3/4" Baltic birch plywood and finished with black texture coating. 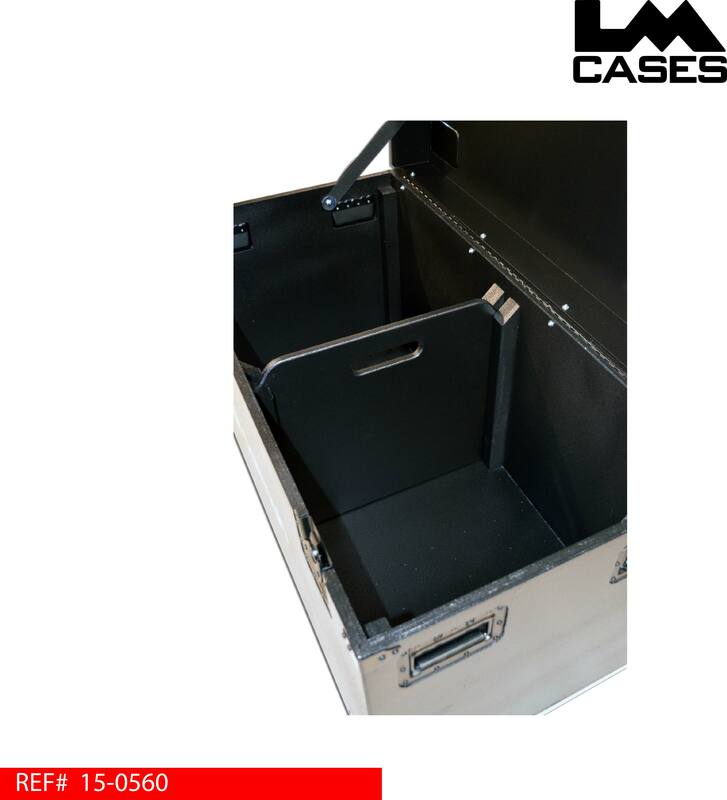 All hardware is black powder coated and routed into the plywood creating a "double recess" for a flat pack exterior. The trunk features 4" x 2" Colson casters with a double thick 1.5" plywood bottom for extra support. The trunk interior features a removable divider with a handle routed in for easy removal. The exterior features the 2 color Darmah logo silkscreen.